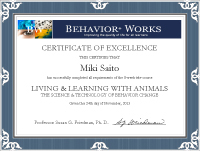 Hi!, I'm Miki, a dog training and behavior consultant and expert in training blind dogs, and live with supportive husband and wonderful Doxie in Yokohama, Japan. 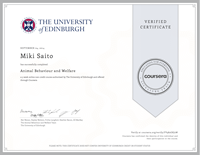 This website offers the information of positive reinforcement training and my services in Japanese. Feel free to contact me via here or see my another website BlindDogTraining.com, if you need the information about me and training blind dogs in English.